The invariance principle is an intuitively appealing decision principle which is frequently used, even in classical statistics. 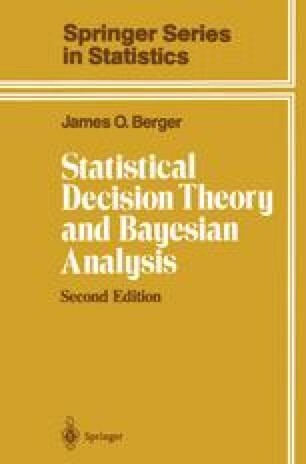 It is interesting not only in its own right, but also because of its strong relationship with several other proposed approaches to statistics, including the fiducial inference of Fisher (1935), the structural inference of Fraser (1968, 1979), and the use of noninformative priors. Unfortunately, space precludes discussion of fiducial inference and structural inference. Many of the key ideas in these approaches will, however, be brought out in the discussion of invariance and its relationship to the use of noninformative priors. The basic idea of invariance is best conveyed through an example.